Porto is known for historic sites, nightlife, shopping, nature, and museums. Your plan includes some of its best attractions: snap pictures at Ponte de Dom Luis I, tour the pleasant surroundings at Cais da Ribeira, don't miss a visit to Livraria Lello, and admire the masterpieces at Museu Serralves. 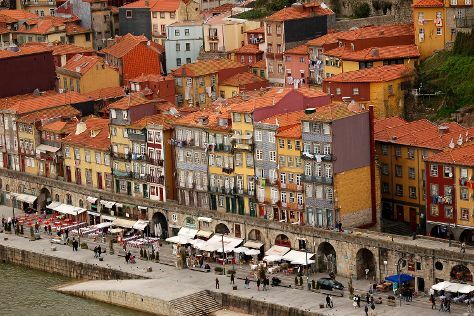 For other places to visit, traveler tips, where to stay, and other tourist information, refer to the Porto day trip planning app . Sao Paulo, Brazil to Porto is an approximately 14.5-hour flight. You can also do a combination of flight and train; or do a combination of bus and flight. Traveling from Sao Paulo to Porto, you'll lose 3 hours due to the time zone difference. Expect colder temperatures when traveling from Sao Paulo in January; daily highs in Porto reach 16°C and lows reach 7°C. Cap off your sightseeing on the 3rd (Sun) early enough to travel to Lisbon. Get out of town with these interesting Lisbon side-trips: Sintra (Initiation Well at Quinta da Regaleira, Quinta da Regaleira, & more). Dedicate the 6th (Wed) to wine at some of the top wineries in the area. There's lots more to do: admire nature's wide array of creatures at Lisbon Oceanarium, take a stroll through Alfama, make a trip to Santa Justa Lift, and get to know the fascinating history of Belém Tower. Ask Inspirock to suggest an itinerary and make planning a trip to Lisbon fast, fun, and easy. Traveling by flight from Porto to Lisbon takes 2.5 hours. Alternatively, you can take a train; or drive. In February, daytime highs in Lisbon are 18°C, while nighttime lows are 9°C. On the 8th (Fri), you'll travel back home.